Edinburgh Gardens is located in Fitzroy North in Melbourne and is situated on 24 hectares. 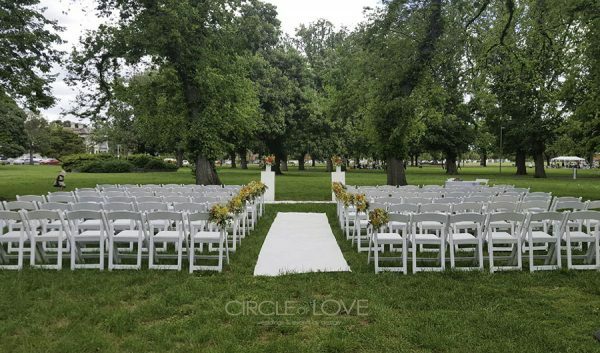 Although the gardens are not well known as a wedding ceremony location, it is a hidden gem with large beautiful trees and winding paths. 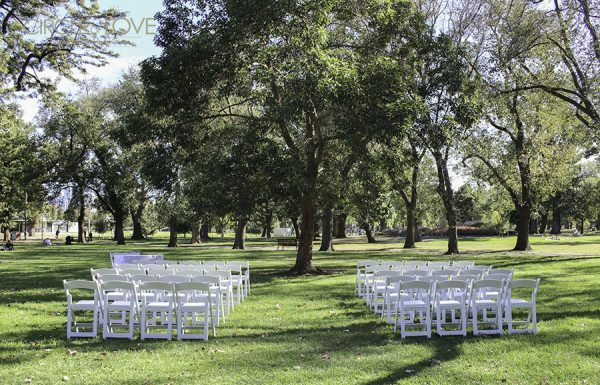 The picturesque gardens are located in the heart of Melbourne and are easily accessed by public transport. 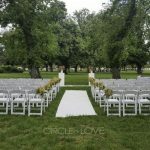 There is a heritage rotunda, but the best spot to have your wedding ceremony is at the Circle of Trees. It is in a large, shady space with the high trees forming the shape of a circle. 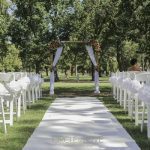 Having this location in the middle of the city, there are many wedding reception venues and accommodation close by as well as photo opportunities in the Melbourne CBD. 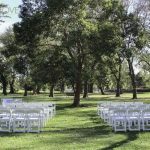 In order to have your wedding at Edinburgh Gardens, you will need to obtain a permit through the Yarra City Council, please click here for further information. 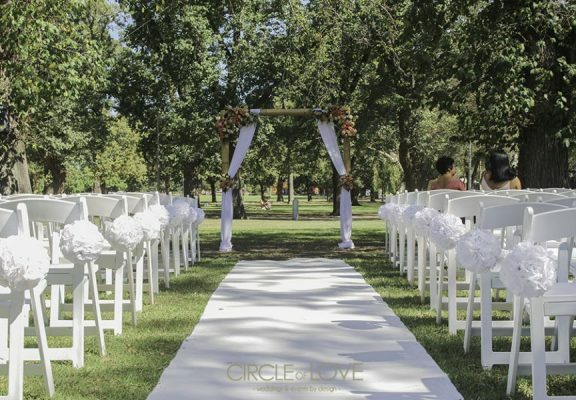 We love styling wedding ceremonies at Edinburgh Gardens and have a range of styling options to suit your wedding desires. We would love to be a part of your special day and create a wedding indicative of you so Contact us today for a complimentary consultation.